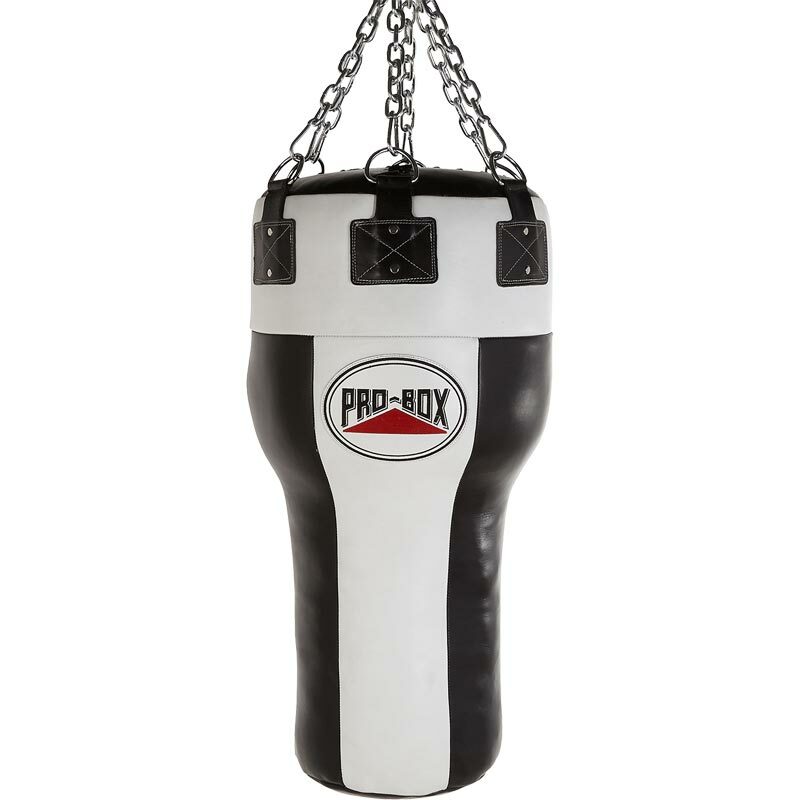 The Pro Box Black/White Leather Uppercut Punch Bag is a top professional uppercut angle bag constructed from quality cow hide leather. Textile filled and machine compressed, this punch bag has been designed and engineered for intense commercial use. Featuring a 25mm inner foam jacket, this delivers a softer more responsive feel to the bag and reduces the impact of shock to your wrist and hands. Requires 6 Leg Chain Set. (We would recommend the Heavy Weight 6 leg swivel punch bag chains). Bag weights can vary depending on type of textile they have been filled with.